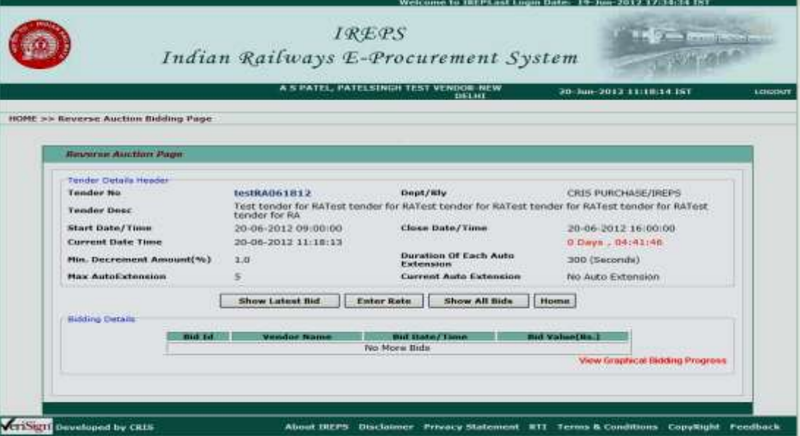 After entering basic rate click calculator icon it will calculate total bid values including taxes and duties. The value should be less than (Last bid total value – minimum decrement in percent). If any vendor will submit the financial offer in last minute of bidding process then closing time will be extended to next 300 seconds. Such auto extensions are is possible up to a maximum number of auto extensions specified at the of scheduling RA. The breakup of total bid value can be seen by clicking on bid value. 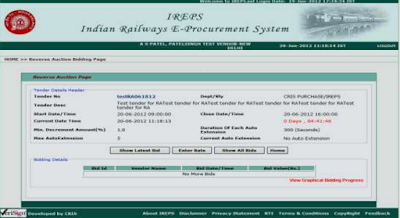 After closing of RA, the identity of all bidders will be shown to each participating vendors and authorized railway users.